In the New York governor's race, there's a firestorm over a highly charged political mailer targeting Cynthia Nixon. Gus Rosendale reports. 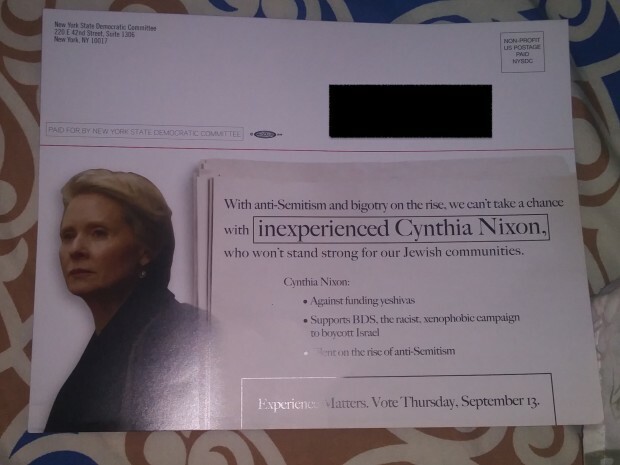 The New York Democratic Party sent out a mailer four days before the primary election which called Cynthia Nixon weak on Jewish issues and accused her of being silent on anti-Semitism. The inflammatory political mailing went out days before Thursday's primary, in which Nixon has launched a challenge from the left against Gov. Andrew Cuomo. 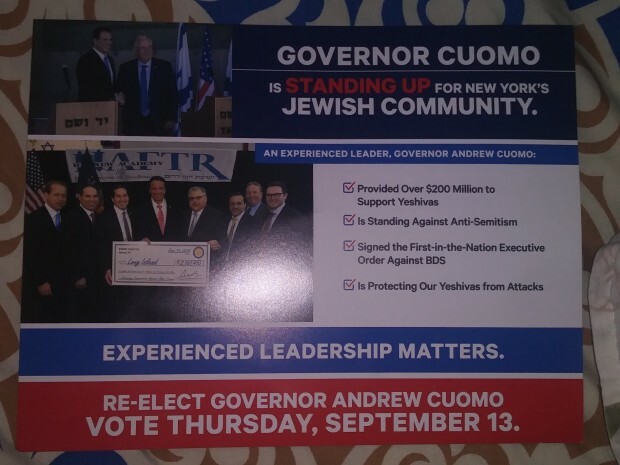 The mailer said: "With anti-Semitism and bigotry on the rise, we can’t take a chance with inexperienced Cynthia Nixon, who won’t stand strong for our Jewish communities." It went on to say Nixon was "Against funding yeshivas; supports BDS, the racist xenophobic campaign to boycott Israel; silent on the rise of anti-Semitism." Nixon, who is the mother of Jewish children, demanded an apology and an explanation. "To use this kind of unfounded charge as a political weapon and a smear campaign is unworthy of Andrew Cuomo's Democratic Party," Nixon said Sunday. Nixon attributed the mailers to both the party and Cuomo, calling the flyers "not only an attack on my family, but on all New Yorkers. "At a time when anti-Semitic, Islamophobic, and other hate crimes are on the rise, it’s sickening to exploit people’s real fears like this," she said in a tweet. 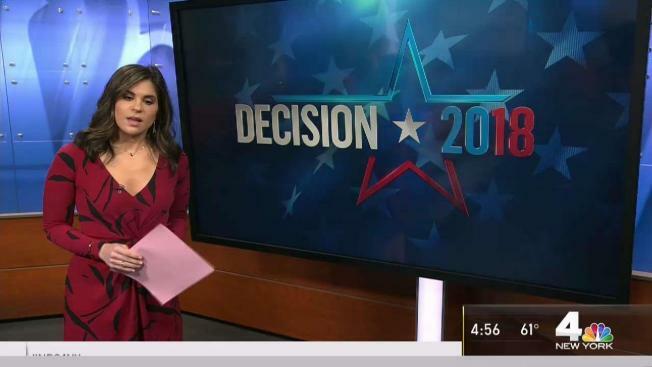 She said her children's grandparents were Holocaust survivors and said "The accusation that my family promotes anti-Semitism is deeply offensive." The mailers that Governor Cuomo and the NY State Democratic Party have sent out are not only an attack on my family, but on all New Yorkers. At a time when anti-Semitic, Islamophobic, and other hate crimes are on the rise, it’s sickening to exploit people’s real fears like this. Our children's grandparents escaped the Holocaust but many of their family members did not. The accusation that my family promotes anti-Semitism is deeply offensive. Democrats should be coming together, not engaging in Trump-style tactics. Two of Nixon's children are being raised Jewish. She and her wife are members of Congregation Beit Simchat Torah. The state party called the mailer "wrong and incomplete." "We will work with the Nixon campaign to send out a mailing of their choosing to the same universe of people," said Geoff Berman, executive director of the state Democratic Committee. Mayor Bill de Blasio condemned the mailer as "downright Trumpian." He said the party should immediately compensate the Nixon campaign. The mailer sent by the NY Democratic Party in the 11th hour falsely attacking Cynthia Nixon is beyond unacceptable — it’s downright Trumpian. A tweeted “apology” calling it a “mistake” is laughable. The state party must compensate the Nixon campaign immediately. Democrats everywhere should unite behind the idea that state parties and the national party have no place in primaries. When state parties put their fingers on the scales, it weakens the power of the people. The grassroots will lead us back to power — not party elites.